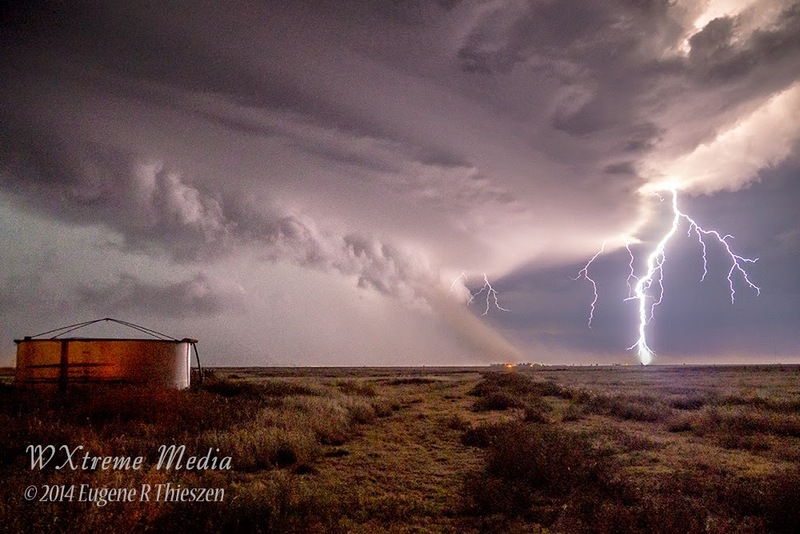 Panhandle Lightning Strike Powerful cloud-to-ground lightning strike from the October 9th, 2014 tornado-warned supercell near White Deer in the Texas Panhandle. We had visual on a brief tornado a few minutes before this shot in which the mesocyclone (and tornado according to NWS Amarillo damage survey) is completely rain-wrapped. Notice the dust being ingested on the front edge.